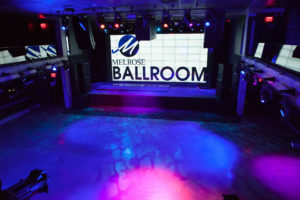 People choose to have their events at Melrose Ballroom, located in the heart of Long Island City just minutes away from Manhattan, not because it’s easy to get to, but because it’s one of New York City’s premiere exclusive venues for private events and live performance shows. 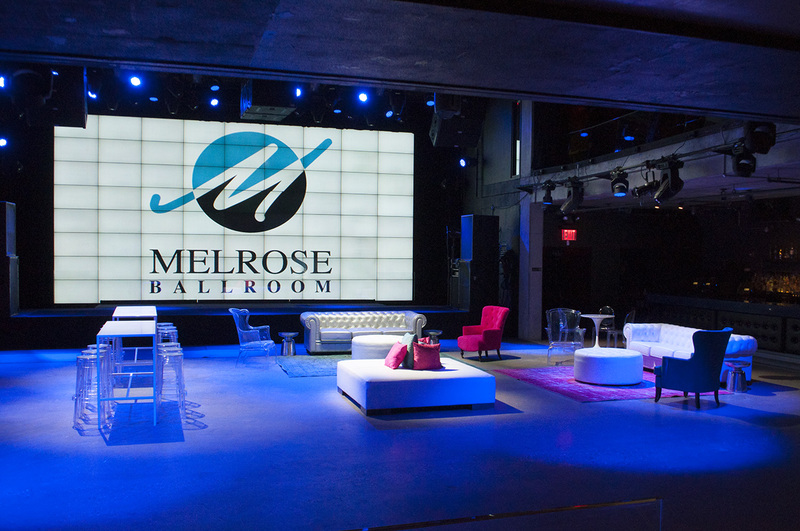 Melrose Ballroom venue services offer the best in catering, entertainment, state-of the art lighting and audio/visual services and has since then become the ultimate choice for event planners, booking agents and music promoters. 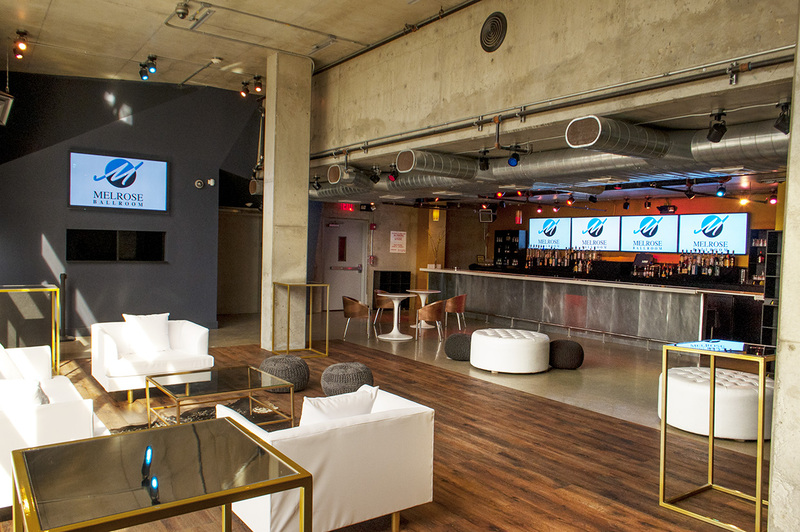 Step into our distinct industrial multi-level facility and experience the magic at Melrose. Let us help you design the perfect floor plan to fit your special needs. The big day is finally here and you have no need to be nervous. While you make your grand entrance to the event you’ve been waiting for, you pull up to the red carpet as the friendly valet attendant takes your car to safe parking. 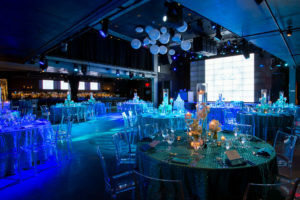 Walking in the ballroom you hear the sound, so crisp, floating around the room, the lights have set the mood, and the plasma screens display imagery that ties perfectly into your events decor. So many moving parts here and everything is running smoothly, just as promised. You never knew having an event like this would be so easy. Rather you’re in the Main Ballroom, its overlooking Mezzanine, or the spacious Rooftop Lounge and Outdoor Deck, you can find one of our four bars to grab your favorite drink as part of our long list of venue services. 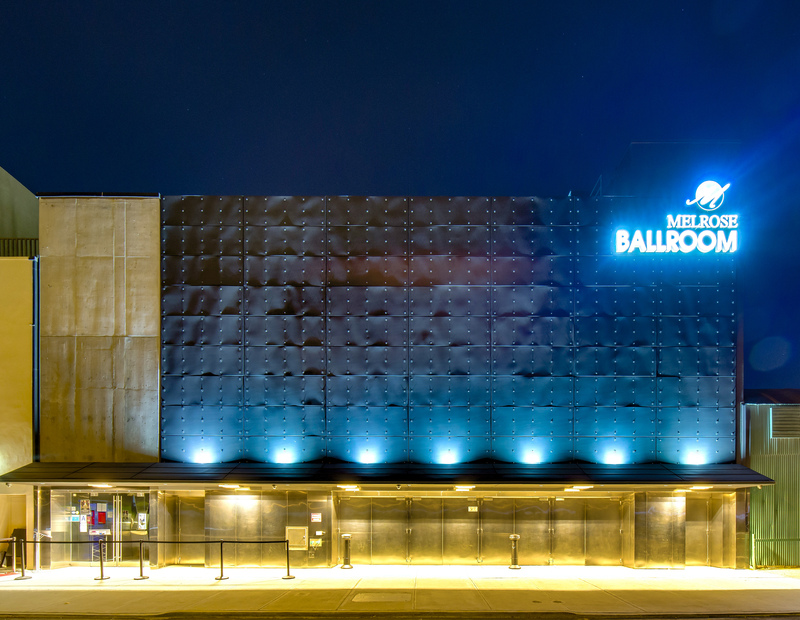 The Main Ballroom – 5,000 Sq. 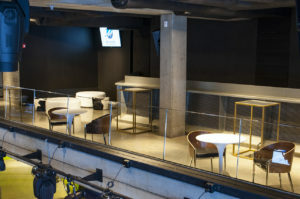 Ft.
Mezzanine Overlooking Ballroom – 2,250 Sq. Ft. The Rooftop Bar, Lounge, & Outdoor Deck – 3,200 Sq. Ft.
67 Theatrical and Fixed Lighting Units. Full-Service Gourmet Kitchen – 1,500 Sq. Ft.
How many venues have you found that offer a full service kitchen available as part of one of their venue services? There’s no need to stress about food and beverage when our full-service gourmet kitchen can prepare menus customized to the desires of any unique taste preferences. You can also bring in approved off-premise caterers.